Equal Employment opportunities exist at all Government level and sectors. Federal, State and Local Government are committed to providing Equal Employment Opportunities for any advertised role and you will not be judged on anything apart from your skills, capabilities, experience and if applicable qualifications and/or licences. As part of your career within the Australian Government you can expect access, equity and social inclusion for all employees, and in particular for the following groups. Public Service Resumes have a range of professional Government writers ready to assist you today with your Resume, Cover letter, Selection Criteria or LinkedIn Profile needs. Public Service Resumes professional writers specialise in completing documents for Public Sector applications from Graduate to Senior Executive levels, Public Service Resumes writers all either have a direct working knowledge or deep understanding of Government applications and continuously produce outstanding results for candidates applying for Public Sector based roles. 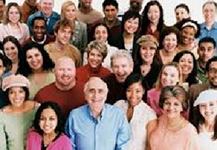 Equal Employment Opportunity (EEO) means that all peoples regardless of gender, race, colour, age, marital or parental status, sexual preference, disability or religious belief have the right to be given fair consideration for a job or other job related benefits such as staff training and development. Equal Employment opportunities will ensure your application is treated the same as any other applicants which will be to assess your skills and suitability for the role with the documents you submit within your application. Your application will be assessed on the Resume, Cover letter and response to the Selection Criterion you submit if your application ticks all the right boxes you will have just as much chance as any other suitable candidates including those who may already be employed within a Department or Agency sector. All Public Sector vacancies at the three levels of Government release – advertise all casual, part-time, full-time vacancies through a variety of methods including Government Job Search Websites, Private recruiters and Newspapers. You can be confident in knowing if or when you apply for a Government vacancy your application will be assessed without prejudice or discrimination if you are the most suitable for the job you will get the role, Indigenous Australians, Women, People with a Disability and candidate from a non‑English Speaking Background can be rest assured you will be able to confidently apply for any role at any level and anytime.